Science Confirms Pics Are Worth 1,000 Words was originally published on BruceClay.com, home of expert search engine optimization tips. This image on the front page of National Geographic today piqued my interest. The image above is in a rotating banner along the front page of National Geographic today. To think that little dino babies could have nursed on mama dino’s little teats! I’m a sucker for ancient reptiles, and am myself mom to a creature of prehistoric persuasion. So I wanted to know, were dinosaurs and mammals not so different after all? 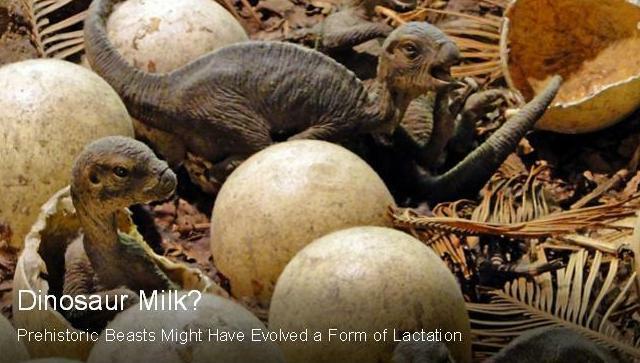 Spoiler alert: NatGeo’s article goes on to pretty convincingly debunk this newly proposed lizard lactation theory. Now instead of a lesson on dinosaurs, NatGeo taught me something about persuasion and images. After seeing that image and the overlaid text suggesting a radical discovery, I was primed to believe — practically persuaded already! As you may have guessed, there’s science behind this phenomenon. In one study, images didn’t even have to be relevant to the statements being made in order to have this effect. Add to this, text along with an image magnifies this effect even more. Use images carefully and thoughtfully. A powerful image can draw attention — and that can be good or bad. Mind-hack marketers can take advantage of this psychological disposition. Pictures really are worth a thousand words, and even more so when words accompany pictures. Kinda explains a lot about Internet memes, doesn’t it?